Fr. Irenaeus Cox was born on 16 January 1966 in Portland, OR. He is of mixed European and American Indian ancestry. The European ancestors were all in North America by the Year 1770. He graduated Lewis & Clark College, Portland, OR, in 1988 with a Bachelor's Degree, (Major in Religious Studies and Minor in History). He graduated Holy Cross School of Theology in Brookline, MA in 1992 with a Masters of Divinity. He was married on 8 November 1998 in Skidra, Greece, to Alexandra G. Pessiridou. In January of 2000 hewas ordained to the Diaconate by Bishop Anthimos in Portland, OR, and on 10 June of the same year he was ordained to the Priesthood in Cincinnati, OH by his Eminence Metropolitan Nicholas of Detroit. His first assignment, from 2000 to 2003 was as Voithos in the Cincinnati Church of Holy Trinity-St. Nicholas. 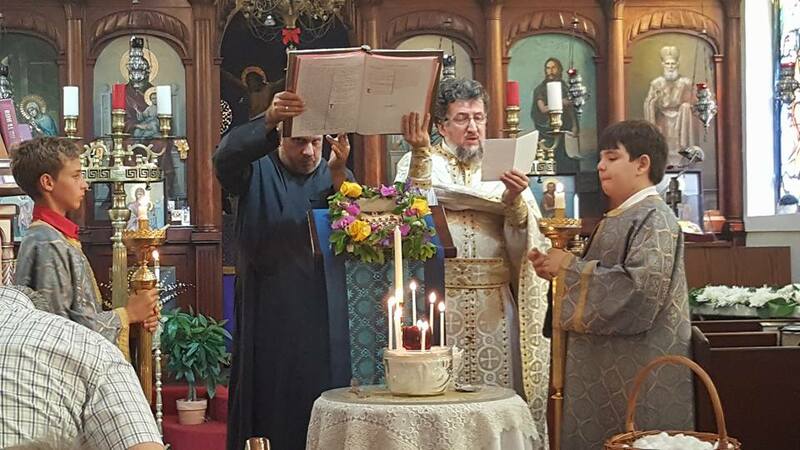 From 7 April 2003 until 2015 he has been serving the Church of St. Demetrios in Saginaw, MI. In 2010 he was elected as President of the Clergy Syndesmos. From 2015 until the present he has been serving the Annunciation Greek Orthodox Churh, Bahamas. His interests include everything about the Orthodox Church, genealogy, taxonomy, all the sciences, world religions and culture, and Philology. His favorite activity is serving the Lord.